← Does Probation Allow Medical Marijuana? Is possession of ecstasy a felony in San Mateo County? Personal possession of ecstasy (violation of California Health and Safety Code Section 11377) is a “wobbler” and may be punished as either a misdemeanor or a felony, depending on the facts of your case and your criminal history. Factors that influence how the district attorney charges you include whether the drugs were packaged for sale or for personal use, as well as the amount of drugs found. 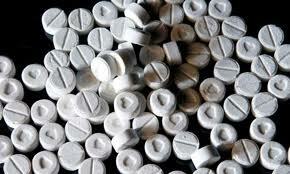 Misdemeanor personal possession of ecstasy is punishable by up to one year in county jail and a maximum $1,000 fine. A felony conviction for personal possession of ecstasy is punishable by sixteen months, or two to three years in California state prison, and up to a $10,000 fine. If you are facing prison time, you may be eligible to serve time in a drug diversion program instead of prison. Proposition 36 permits non-violent drug offenders to serve time in a drug diversion program instead of prison, and successful completion of the drug diversion program also results in dismissal of the conviction. An experienced defense attorney can help you negotiate a plea bargain that includes a plea to a personal possession charge instead of a possession for sales charge. If you decide to go to trial, an experienced defense attorney will advocate to the judge or jury for your acquittal and, when it comes to sentencing, that you receive the most lenient sentence possible and for a drug diversion program instead of prison.